Hello friends, Wow, It seems like I have been away forever. With all the shopping and wrapping and trying to make sure I get my Christmas cards sent out I haven't left much time for challenges. Well, They are all sent and I have completed 3 challenges in one. I am so excited about this one. 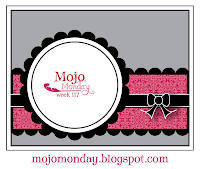 First, We have Mojo Monday, You can see the sketch above and this one was quiet easy for me. I finally got to use my New Dahlia Nestie that I won in Wendy's awesome October Breast Cancer awareness Blog Candy. (Thank y ou again Wendy!!) Anyways, The next Challenge was the Splitcoaststampers color challenge # 249 which was Melon Mambo, Mellow Moss and So Saffron. And the 3rd. and final challenge was from Stamptacular Sunday Challenge Blog and it too was somewhat of a color challenge. We were to use nontraditional colors for a Christmas card. Although I did use Green(Mellow Moss) but that isn't too much of a Christmas color, Is it? Hmmmm, Maybe it is. Lemme know what you think. I feel like I had a pretty productive stamping night and now I am pooped. Only 3 more days until winter Break and I am off of work for 2 weeks,(can I hear a Woo Hoo?) I am ready for the break. From work that is (wink wink)! Super cute card! love the flower shape, totally cute!! What a lovely Christmas card! Love the shape of the nestie and the punched border looks pretty! 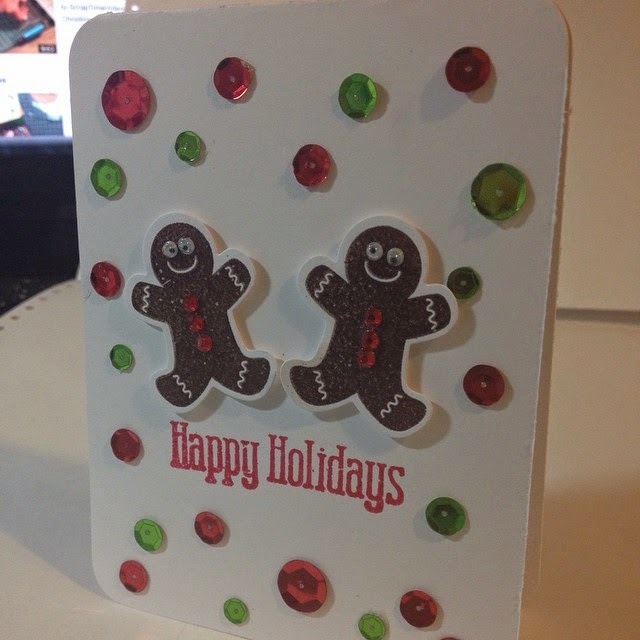 A great card and fab layout. Thanks for joining us at SSC. Your packages are cute and what a fun shape to cut them in. 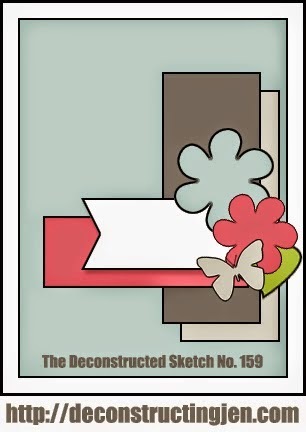 Great job with the sketch and love the different shape on your card...so creative! I'm so glad you could join us this week at the Stamptacular Sunday Challenge! Wow, great job. I love all the presents. The colors are fabulous also. Thanks for joining in at SSC.